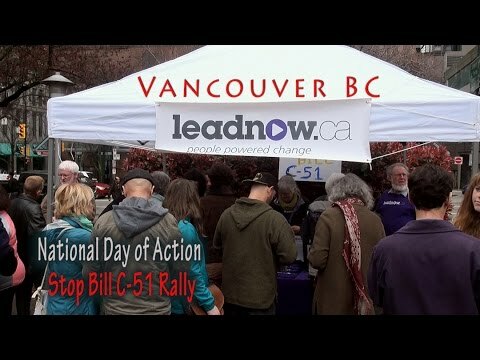 While attending this stop Bill C-51 rally LEADNOW volunteer Jackie DeRoo gives a brief description of some of the current activities her group is involved in. Actions about our economy, climate change & to bring a little more political accountability justice & equality to this world we all live in. Interviewed by Glenn David Loft. ***Please visit the LEADNOW petition site by clicking here: http://you.leadnow.ca/petitions/reject-fear-stop-stephen-harper-s-secret... ">http:// http://you.leadnow.ca/petitions/reject-fear-stop-stephen-harper-s-secret-police-bill This video captured with my little Sony CX550 camera, not the usual EX1R.